With so much noise online, standing out from the crowd can be a challenge. With over $550,000 being spent every minute online, how can you capture even a tiny piece of that business by standing out from the crowd? 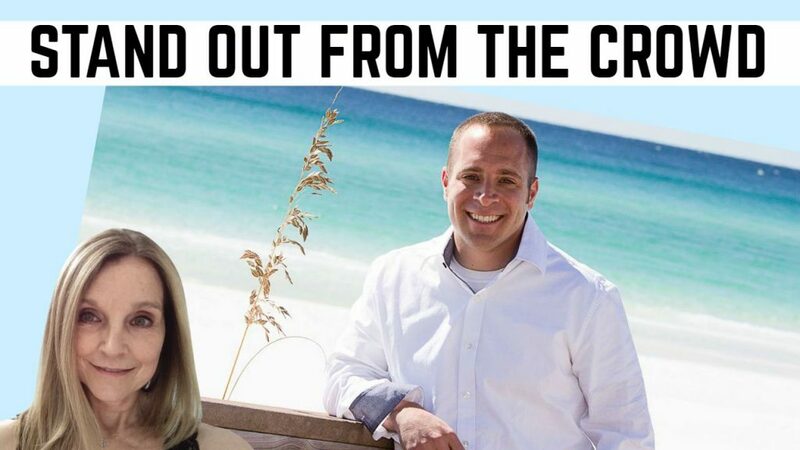 Today I have a special guest, Adam Orlandella who has 2 tips that you can take action on! In today’s world, anyone with a smartphone can be a video blogger or marketing expert. When you go out there to market your business, how do you stand out from the crowd? Everyone is saying the same thing! How will someone decide to choose you over the thousands of other people? 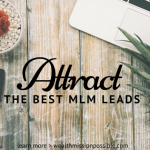 Why should someone buy from you or hire you over all the other people out there? I have 2 tips for you today to stand out from the crowd. When you think about your online brand, think about yourself as the star of your own movie. Be yourself. The one thing no one can really copy is you. Others can emulate you and even copy your mannerisms, but you are you. Don’t try to please everyone because you never will. Take Howard Stern for example. He is unique and definitely stands out from the crowd. Some people love him but others would just love to shut him up! With today’s social media, you have access to the biggest brands online. And your content may be alongside some of these big brands. After all, we are all online. Look at some of the big brands and ask yourself what stands out about the brand? Take what you like and emulate that! They’ve already done the marketing research to stand out from the crowd themselves. Now, I am not saying to copy them… emulate and make it your own! You don’t need a big fancy marketing budget. Just a smartphone and a plan will do. As Adam mentioned, you can emulate others, just don’t exact copy or plagiarize. 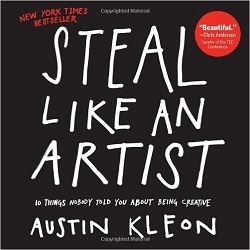 Here’s a cool book that you can learn from, “Steal Like an Artist” by Austin Kleon. Grab it at Amazon. It’s an easy and fun read, you can finish in about an hour. I hope it helps your creative side as it did mine! It’s too easy to do what everyone else is doing! What have you learned about standing out from the crowd online and how are you doing that? Thanks for having me on as a guest, Lisa. It was an honor and fun to collaborate! Thanks for being part of my video, Adam. It was fun getting to know you and I enjoyed the collaboration! Personal branding is so important and should be unique as you can … thanks for sharing such great value…. Hey Lisa you are definitely stand out from the crowd. Love this post! important topic to discuss. Thanks for sharing! Thanks Lynda! Let me know if you like the book after you read it. I loved it! Got so many fab ideas and the writing style is fun and informative. I tend to be so technical and unleashing my creative side in a way that complements what I am doing was very helpful! Lisa, thank you for the video and the 2 tips. I am in full agreement that it’s important to be YOU and that will STAND out from the crowd. I am very interested in reading the book “Stealing like an Artist”. Thanks Elvia! Let me know what you think of the book if you read it! I enjoyed it very much.